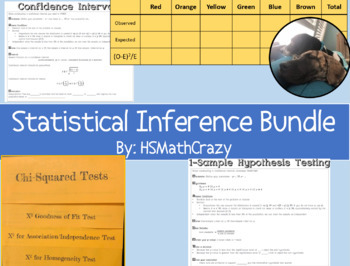 This bundle contains 5 products that I used during the last unit of AP Statistics. There are 3 notes sheets, a foldable, and one activity. My two-sample examples are exclusive to this bundle. These will download as a zip file. If you like this product, please consider following my store and checking out other products. I would love to hear your feed-back in your review.